This year has been so rewarding for us, not only we get to do something we simply adore for a living, but we’ve also seen the biggest growth of our business so far! 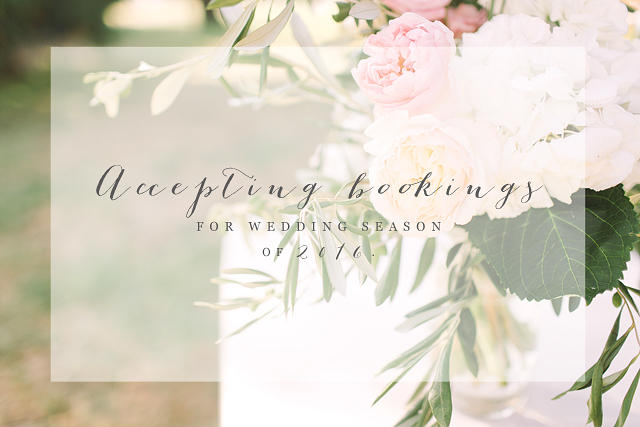 With more than twenty weddings booked this year, I am thrilled to see so many couples love and appreciate our style, and we are happy that we’re finally getting just the right kind of couples for us. The couples who with their effort and willingness inspire and motivate us to work even harder. The couples who are not afraid to make their wedding really their own! To go out of the box and make their dream wedding come true. We doubled the amount of destination weddings and there isn’t a thing we love more than travelling abroad for weddings! This year we travelled to so many amazing locations in Italy, and there is still a few destination weddings we have yet to shoot in the coming months. We also have another exciting thing to share – not only we’re spending our vacation in Thailand this year (which I’m sure you already know – I should probably stop announcing it, but it’s just so exciting! ), we also booked an elopement in Phuket. And how better to start an amazing holiday than with a wedding! :) It really is a dream to combine two things that come so close to my heart – travel & wedding photography.